Do these Rookies have what it takes to be crowned Rookie of the year? One of the best things about sport is seeing new stars emerge and take the world by storm, and it is no different in Powerboat P1’s thrilling P1 AquaX championship. 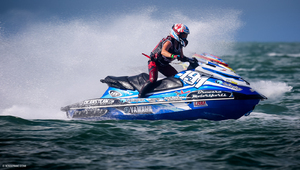 The international personal watercraft (PWC) series has seen a whole host of high-octane action take place on the water this season, with four rookie riders finding themselves right at the heart of the action. Before joining the Pro Enduro Class all rookies are vetted to ensure they meet the necessary standards, and for Christian Daly, Sophie Francis, Carlito Del Valle and Cody Tetreault, their debut seasons have certainly not gone unnoticed. Having arrived in the series on the back of an extremely successful 2017 amateur season, last year saw Christian crowned both national and world champion. 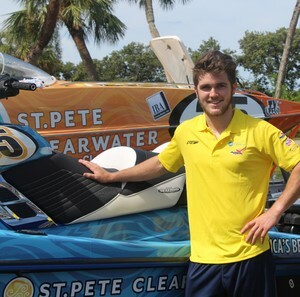 Racing for well-known tourist board, Visit St. Pete/Clearwater, Christian is currently 8th in season points, the only rookie inside the top ten. The only female rider in this season’s Pro Enduro Class is British star Sophie Francis. 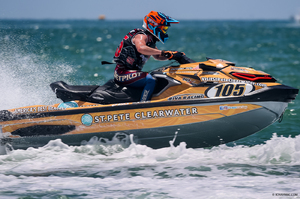 One of the most hotly anticipated riders in the event, Sophie, who races for Broward Motorsports and Gallagher has already made history by becoming the first woman to ever win a 300AM race in P1 AquaX. Sophie’s husband also happens to be the current World Ranked number 1 racer, Eric Francis. 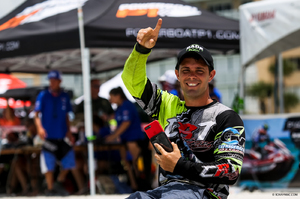 Racing for his own team, CRT, Carlito Del Valle has been involved with Powerboat P1 since 2014, but only turned Pro in the P1 AquaX event this season. 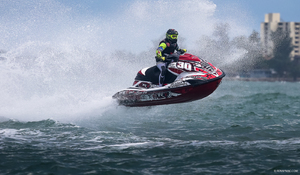 The Cuban American rider has a background in drag racing and you could say that marine water sports is in his blood as his father was a champion jet ski racer. Carlito has a passion for all things water sport and even owns his own jet ski repair shop. Carlito discussed how his first season as a pro has gone: “I am in a good position right now only three points away from Christian in the Pro/Rookie standings. I just need to stay focused, continue training and not make any mistakes on the race course and I know I can make it happen." He continued: “My ski is running well, and I am looking forward to Chicago and then coming back to my back yard for the final race in November. The series is great, I have learned a lot and I keep getting better." 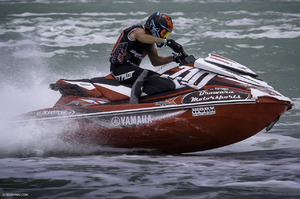 A member of the Broward Motorsports team, Cody has raced for them for almost a year, prior to that he rode for Greater Yamaha and has also had a great start to life as a Pro rider. Powerboat P1 are always encouraging new and rookie riders to get involved in the sport, and P1’s USA Championship manager, Michelle Petro talked about the benefit of amateur riders moving to the Pro class.